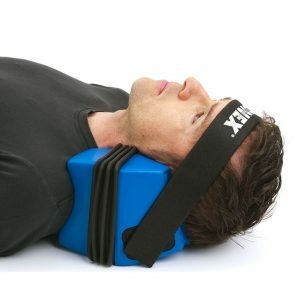 Simply wrap it around any doorway, lie down, stretch out your neck muscles, and say goodbye to neck pain. The Traction Neck Hammock is an effective, but simple device that will attach to any door for relief of neck pain in ten minutes or less. 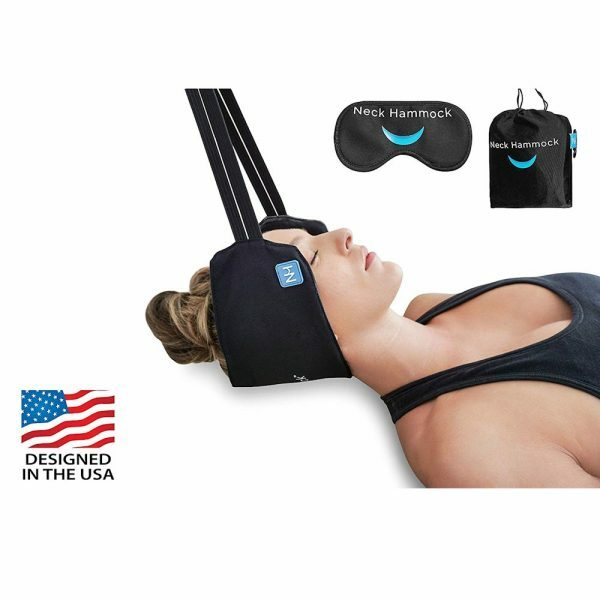 The head support uses gravity and leverage to comfortably apply cervical traction to increased mobility, decompress the spine and achieve pain relief in the comfort of own home. 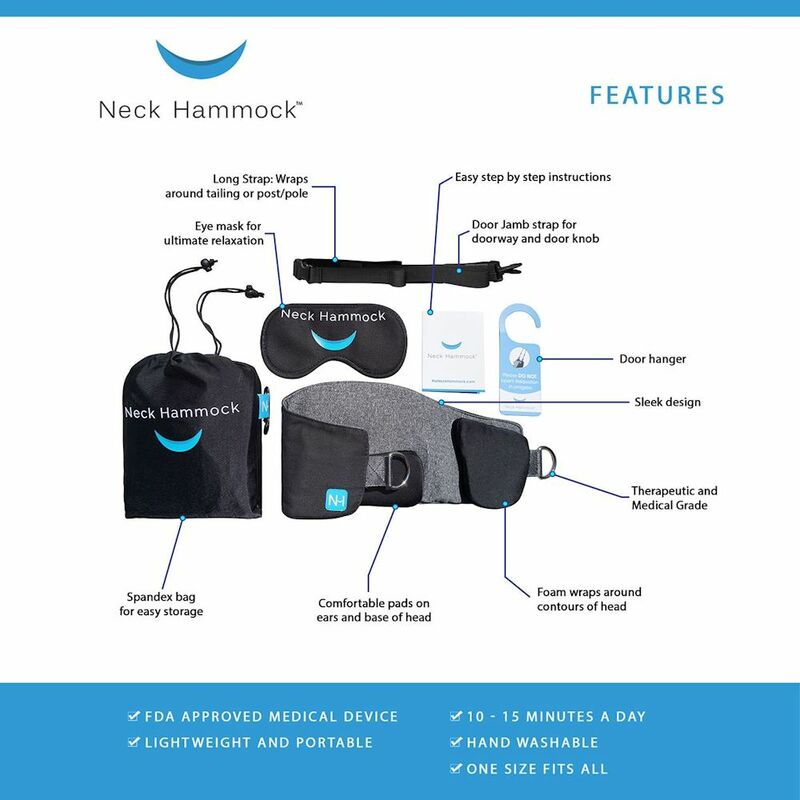 The traction neck hammock is easy to use, lightweight and very portable so you can feel better anywhere you go. 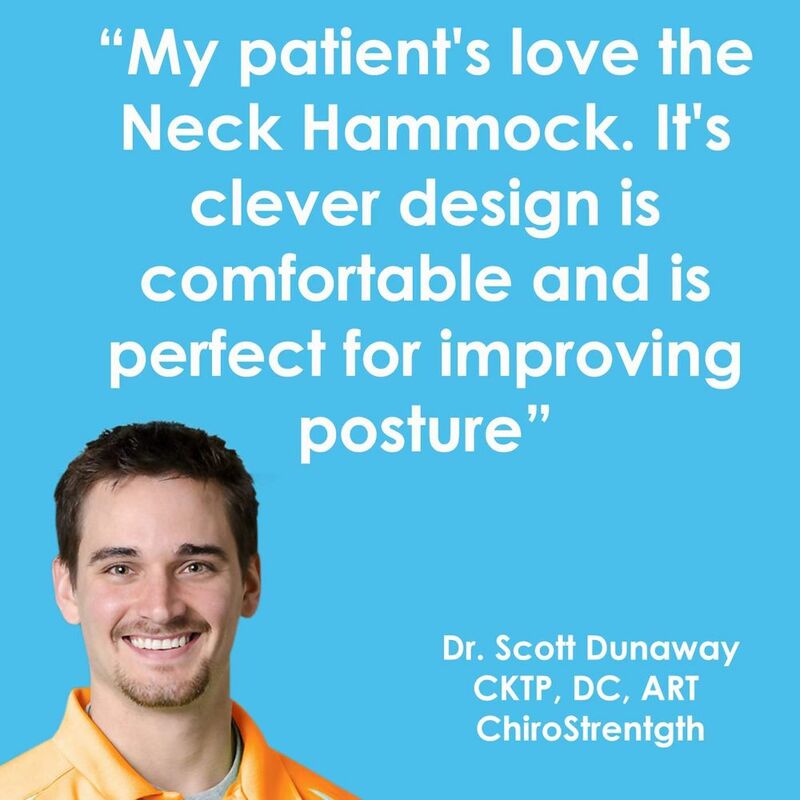 The neck supports the weight of the head and with alterations in posture from poor ergonomics, like forward head posture, it becomes more difficult to support, straining muscles and other structures that can lead to chronic cervical spine problems, like neck pain, headaches, degenerative spinal conditions, upper back strain and shoulder problems. 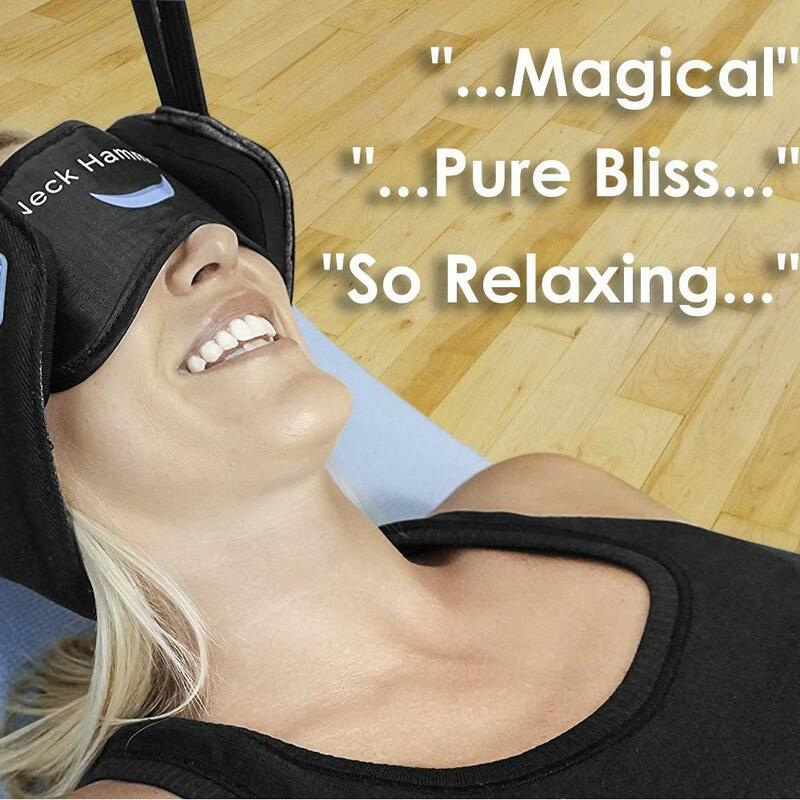 As part of solutions for dealing with neck pain, the traction hammock can be a great addition to postural restoration with supportive pillows, ergonomic modifications, muscle therapy, nutritional supplementation, and exercise. 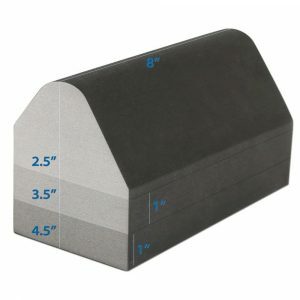 The unit should hang 2 – 4 inches from the floor. The exact amount will depend on your body type. Greater traction force is achieved by allowing a higher height. 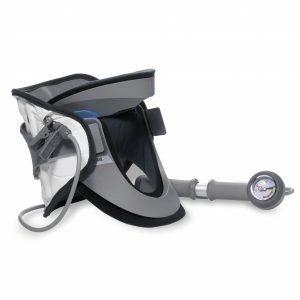 There is a quick adjusting strap to alter the height, so you can find the right amount for you. It can be adjusted as your condition changes or for use by different people. 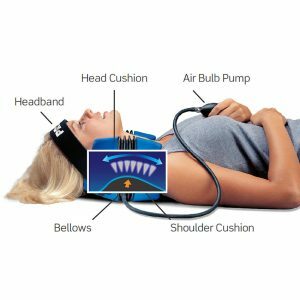 Traction is done to tolerance, meaning to your comfort level, just enough for relief or comfort, and should not produce any pain or increase in symptoms. You should become familiar with set up, then start at 10 minutes per session and increase gradually. 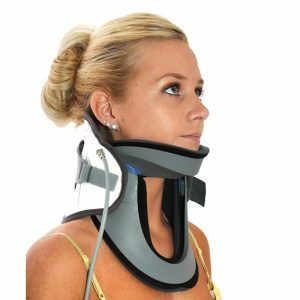 Depending on the condition of your neck, you may require 2 – 3 times a day, for up to 15 minutes. Allow approximately 4 hours between each session. 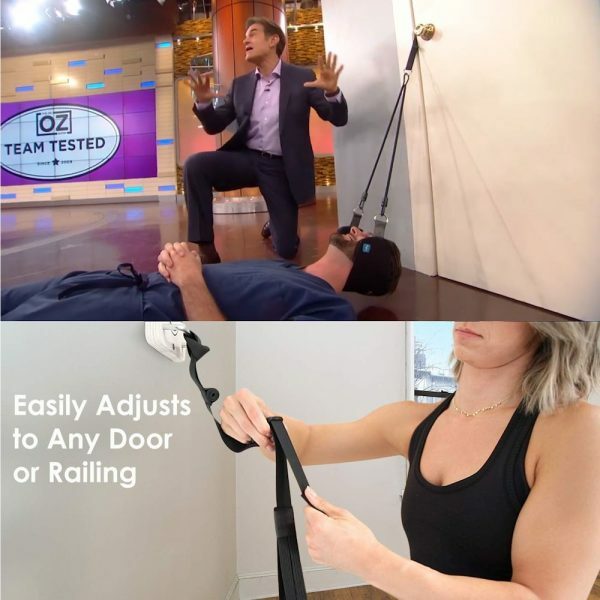 In addition to height, increasing distance from the door and adjusting the head support can increase traction force. 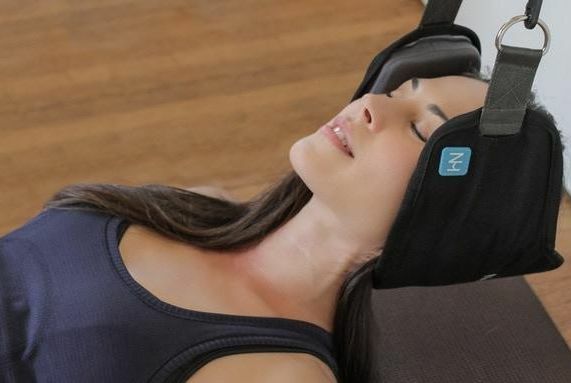 The pad in the hammock can go under the base of the skull for general therapy and more in-line or horizontal traction. 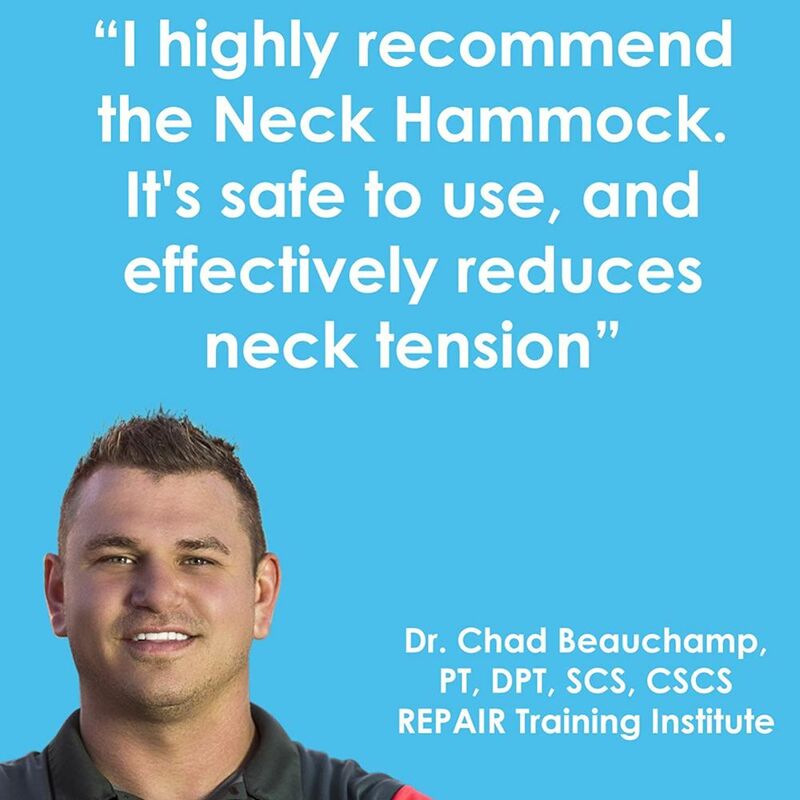 Placing it in the middle of your neck increases the force in a more upward or vertical direction to help in restoration of the cervical curve. So, with a bit of a learning curve, you will be an expert in no time at all and on your way to one of the most beneficial therapies for neck pain in the comfort of your own home.